This version is more cool compared to the previous version. -Cheat are more stable with this version. -It’s fast when downloading and streaming. -Servers are free. No need for premium Accounts. NOTE: FREE BROWSINGS ARE CURRENTLY AVAILABLE ONLY ON GLO AND ETISALAT NETWORK. On the app main screen, select the tweak you want to use depending on the sim you are using. 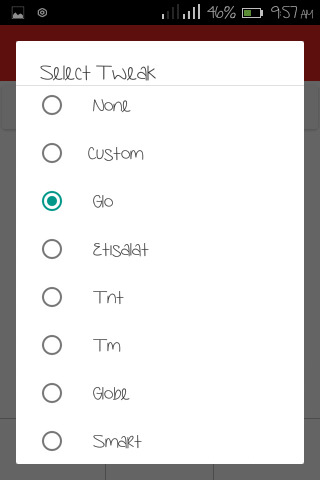 You will either select Etisalat or glo tweak. Select the server you want to use or leave it on auto. HIT THE CONNECT BUTTON ICON ON THE APP AND WAIT FOR SOMETIME FOR CONNECTION SUCCESS. Previous articleGionee To Launch A1, The Evolution Of The Selfie!